Easy to OwnSM programs give options for those with lower income, limited credit history, and low down payment needs. Provides the potential for minimal out-of-pocket expenses with seller contributions. Offers loans that don't require monthly mortgage insurance. Loan programs include down payment and closing cost assistance. Variable and Fixed-Rate loans available with flexible qualification guidelines. Up to 100% financing—with as little as zero down payment for qualified borrowers. Offers 100% Financing, Low rates and Affordable Payments. Helps lenders work with low and moderate income families living in rural areas to make home ownership a reality. Loans can be used for repairs and rehabilitation; physical disability equipment; connection fees, assessments or installment costs for utilities; and essential household equipment. As many homeowners can tell you, not all mortgages are created equal. This is especially true for those with a poor credit history, whose options are limited to just a handful of lenders willing to take a risk on financing a subprime applicant. Below is a summary of the top lenders and services we recommend for people with poor credit, along with key stats and ratings for each. To apply online for a new mortgage, refinance, cash-out, or virtually an other type of home loan, simply click the name of the provider you prefer to visit its website. Since the housing market turned in the late 2000s, many subprime consumers simply assume they won’t qualify for a home loan — so they never even apply. The truth is many options still exist for finding a home loan, with specific qualifications depending on what type of loan you need. A Federal Housing Administration (FHA) home loan is not actually a loan from the Housing Administration, but a loan from an independent lender backed by the FHA. Insurance of the loan by the FHA reduces the risk faced by the lender when making a loan to a subprime borrower, thus making them more likely to do so. Due to their insured nature, FHA loans are perhaps some of the easier home loans to qualify for with bad credit, generally approving people with FICO credit scores as low as 580. However, because the lenders (not the FHA) do the actual lending, they can set their own requirements, so actual scores may vary. Besides having looser credit requirements, FHA loans also have another giant perk: lower down payments. A borrower with a credit score of 580 and above can qualify for an FHA loan with as little as 3.5%-5% down, making it significantly easier to afford the out-of-pocket costs of buying a home. Many of the home loans available to those with bad credit are actually government sponsored or insured in some way. These include the commonly known FHA and VA loans, as well as a variety of lesser-known programs such as the USDA housing program. Requirements for government loans will vary based on your area, housing needs, and income, though most will be easier to qualify for than conventional private home loans. Use the government loan finding tool to determine which loans may suit your needs. 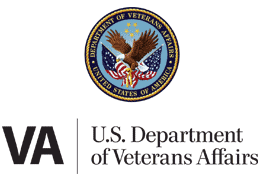 If you are an active or retired member of the U.S. military, you may qualify for a loan through the Department of Veterans Affairs (VA). As with an FHA loan, a VA loan is actually made through a private lender, but the loan is insured by the VA, reducing the lender’s risk. Benefits of VA loans are many, including the ability to buy a new home without a down payment as long as the home appraises at, or greater than, the loan amount. Borrowers are also exempt from paying private mortgage insurance premiums and early payments fees. The equity of your house is determined by its current market value and the total debts on the house. For instance, if you buy a home for the market value of $100,000 and pay $5,000 as a down payment, you have a mortgage debt of $95,000 and the equity of your home is $5,000. If the market value of your home increases to $125,000 just after your purchase it, your equity increases to $30,000. A home equity loan leverages the increased value of your house as collateral, generally around 75% of the increase. In the example above, the $30,000 in equity could equate to up to a $30,000 home equity loan, but likely less — and definitely not more. Many lenders offering conventional home loans will also offer home equity loans. The credit requirements for a home equity loan will vary by lender, with the minimum score range being similar to that for a conventional home loan. The traditional venues for financing a home renovation are home equity or personal loans. If you don’t qualify, or need another option, there are two main types of loans specifically for home improvement that may be available to subprime consumers: the FHA 203(k) loan, and Fannie Mae HomeStyle loan. The HomeStyle loan will require at least a 5% down payment and a credit score of 680, or a higher down payment and a score of at least 620. The 203(k) will likely have the same requirements as a typical FHA loan. The types of improvements covered by your loan will vary by type, but the HomeStyle loan is more lenient, and will generally allow any remodel that remains a permanent part of the home and adds definite value. The 203(k) does not allow for anything considered to be a frivolous upgrade, like adding a swimming pool, but may allow for wall relocation or adding square footage. The options for a loan to finance home repair are much the same as those for any type of home improvement construction, and include traditional home equity and personal loans as well as FHA 203(k) loans. The 203(k) loan comes in two flavors, Standard and Streamlined. The Standard version is a rehabilitation loan and purchase loan all in one that is generally meant for houses that need serious structural work. The Standard 203(k) requires a minimum loan amount of $5,000. The Streamlined 203(k), on the other hand, is intended for smaller, non-structural or cosmetic home repairs and improvements. The Streamlined loan maxes out at $35,000, and covers repairs such as replacing an HVAC system, adding disabled accessibility, or repainting. If you have your heart set on a home outside the city, the U.S. Department of Agriculture (USDA) Single Family Housing program may be the best route to take. 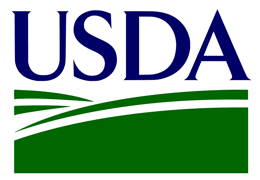 Including the Home Loan Guarantee program and the Section 502 Direct Loan Program, the USDA loans are designed for low-income homebuyers in rural areas. In the Guaranteed Home program, the USDA provides a 90% loan guarantee to a qualifying lender to reduce the risk of the loan. As a result, lenders will extend 100% loans to their borrowers — meaning no down payment. Applicants will need to meet minimum income requirements to qualify, and can only get loans for a primary residence. The Section 502 Direct Loan Program is designed for rural homebuyers who currently lack safe housing but cannot get a reasonable loan anywhere else. Like a Guaranteed Home loan, a 502 loan has no down payment and can only be used for a primary residence. Finding financing for a mobile or manufactured home can be tricky, as only homes permanently fixed to the property on which they stand actually qualify for a conventional home mortgage. Mobile homes that are actually mobile are generally considered to be personal property, as opposed to real estate, and don’t qualify. For the low-income demographic who make up the majority of mobile home sales, the best option for financing is an FHA-backed loan. FHA loans are available for both landed homes — when the mobile home and land it sits upon are owned by the same person — as well as those homes that will be located in a mobile home park. Standard FHA qualifications apply. The key to finding the best home loan lender, especially with bad credit, is to do your homework. Many subprime borrowers often feel so relieved to qualify for a loan — any loan — that they fail to compare companies or accept the first offer they get. No matter what type of home loan you need, you should always make sure to shop around for the best interest rates. Bad credit scores don’t bring in the prettiest rates, but you don’t necessarily have to settle for the worst ones, either. You’ll also want to research the company itself, checking with the Better Business Bureau (BBB) as well as customer review sites, to make sure they have a good reputation. Lenders may be limited when searching for specific loan types with bad credit, but you should never borrow from a company with whom you don’t feel comfortable working. Of course, the easiest way to get the down-low on your potential lender is to rely on the in-depth company reviews from our finance experts listed above. Our team has done the research so you don’t have to, meaning you can focus on your new home — not your new lender. Getting a home loan when you have a bad credit score is difficult, but not impossible. Knowing your own credit situation by pulling your credit report and scores can go a long way in helping you determine the loans for which you are most qualified. You can work to improve your chances of qualifying for a home loan by improving your credit score through credit repair or a debt management program. You are also much more likely to be approved if you provide a sizeable down payment. A down payment between 15% and 20% will give you the greatest chances of being approved.